In another two days is the Fast of the 9th of Av, when we must endure a 25 hour fast* to commemorate/remember the invasion/conquering of Jerusalem and destruction of both our Holy Temples. The 9th of Av is the saddest most tragic time in the Jewish Calendar. In the heat of the summer, we are commanded to remember all of the terrible things that happened to the Jewish People. We are One Jewish People, One Family. We have to care for and take responsibility for each other. The internal sin, which weakened us and caused our defeat and the destruction of the Jewish Kingdoms and Holy Temples came from within us. Déjà vu. It’s happening yet again. We have a government that runs to foreign leaders for “advice” and “aid” rather than doing what is best for the Jewish People and State of Israel. Our government treats foreign values as gods instead of obeying the One and Only Gd Almighty. Our government worries about world opinion instead of what’s best for us. Our Israeli Government does not act as a sovereign power. We ordinary citizens feel hopeless and powerless. We have not united to do what we know is best. Our Israeli Government is destroying Jewish homes while permitting our enemies to build and grow stronger. It feels like the 9th of Av all the time. I dread checking the news. I am embarrassed and terrified by the actions, words and policies of our government leaders. 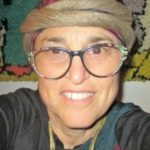 It feels like Tisha B’Av, the 9th of Av everyday. It’s hard to keep in mind that there is a way out of this dangerous mess. We don’t have to wait for the Month of Elul to repent. Teshuva, Repentance is accepted by Gd all year long. Jewish spirituality requires observing the Mitzvot, including settling the Land. THEN THIS TUESDAY ON THE 9TH OF AV WE WILL CELEBRATE THE MOSHIACH AND DEDICATE THE THIRD HOLY TEMPLE, SPEEDILY IN OUR DAYS, GD WILLING! 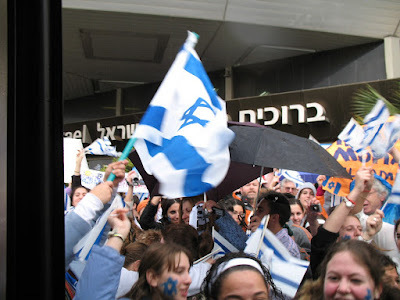 Israeli flags welcoming olim chadashim, new immigrants to Israel. The 9th of Av is totally different when in Israel. *Those with certain medical issues/conditions are supposed to drink, even eat. Fasting is only for those healthy enough and not taking even temporary medications. Check with both doctor and qualified rabbi, who understands the medical aspects.